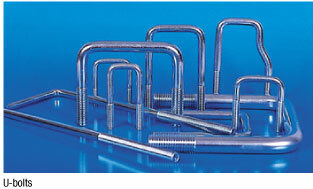 As the leading provider of bent bolts (U bolts, Round U Bolts, Square U Bolts, J bolts, L bolts, V bolts and much more), we believe that one secret to our success lies in our heavy investment in equipment/production machinery. We own and operate 80+ high speed planetary thread rolling machines that not only give you the results you want, but are also capable of producing the volume you need, exactly when you need them. 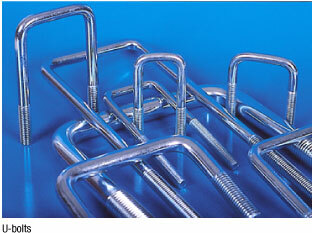 Our skilled quality and sales force can work with you to create custom U bolts to your exactly specifications. We also have special equipment capable of producing 8 inches of thread per second of customized fully threaded studs as well as spade bolts and a number of other bent bolts. We offer customized stock and release programs to fit your needs so you will never run out of parts. Over the years we've gained a good understanding of what our customers need. We know quality is essential, which is why we are ISO 9001:2008 certified. We also have a strict quality control program that ensures every single batch of Round U Bolts, Square U Bolts, L bolts, J Bolts, V bolts, Square J bolts or other items we manufacture are always accurately formed and beautifully finished. Not only is it important to be confident that your fasteners won't let you down, it's also vital that your other requests arrive when you need it. We operate to a range of different schedules, ensuring that we supply what you're looking for, whether you need repeat orders or have a large, one-off request. 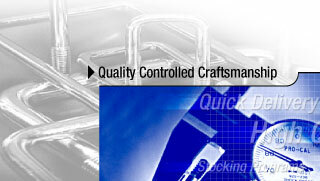 To find out more about our services and to place an order, you can call us at (800) 979-1921.